Not only does the program keep good principals on campus, it also addresses the uneven nature of SAISD’s successes thus far. The district does have bright spots. It has MVP campuses and “most improved” campuses. But for all those on the rise, many are still on the decline. It has some of the best and worst performing schools in the city. The network principals will be in charged with turning up the wattage on the bright spots so that more schools benefit. Beginning next year, cohorts of successful principals will be asked to replicate their successes– though not necessarily using the same model– on a new campus while still overseeing their original school. The first cohort includes four of SAISD’s most celebrated principals–some who have accumulated official “gold stars,” and all with rockstar reputations within their campus communities. Delia McLerran, who won the principal of the year at H-E-B’s 2017 Excellence in Education awards, will open a second Young Women’s Leadership Academy. The location has not been decided, but the school will be part of the national Young Women’s Leadership network. The current YWLA campus in Monticello Park is the district’s most high-profile high school, earning National Blue Ribbon status in 2015, and a recurring spot on Top High School rankings in national publications. 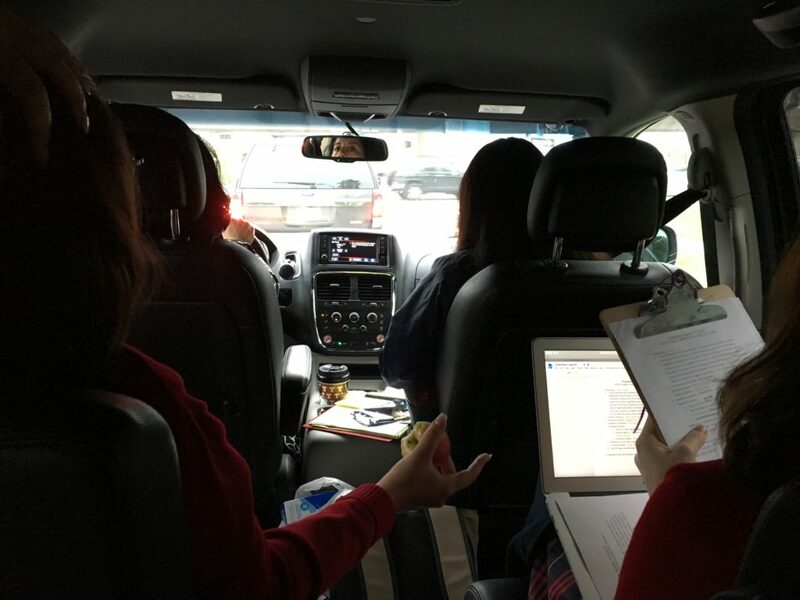 Delia McLerran (in the rearview mirror) driving her students up to Austin on April 20 so they advocate for stronger gun laws. 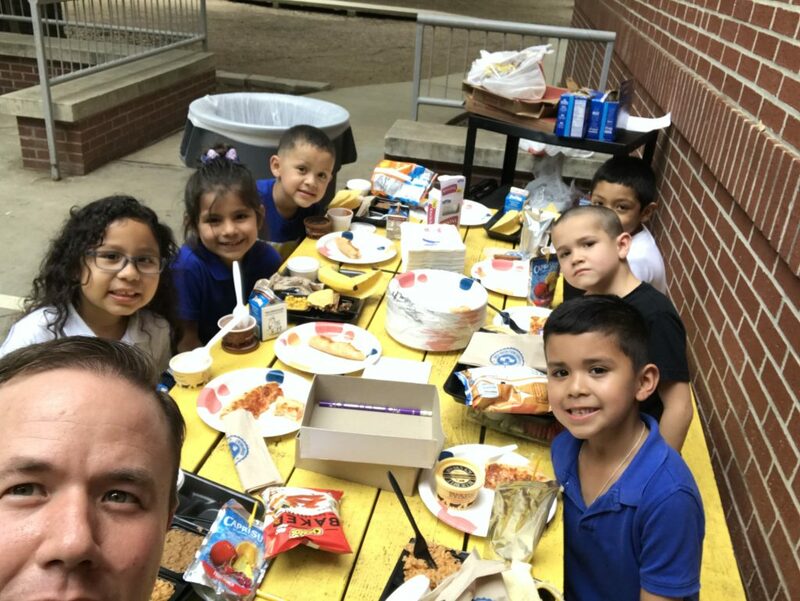 Brian Sparks, the wildly popular principal of Lamar Elementary in Mahncke Park, will also lead Bowden Elementary, about a mile and a half away in Dignowity Hill. Sparks is beloved by many in the Lamar community for his highly responsive leadership, and he intends to take that approach at Bowden where principal Anita O’Neill is retiring. But first, Sparks said, it will be time to listen to the community. He wants to get to know Bowden before assessing which initiatives and strategies will be the best fit. That engagement in and of itself, is a tough skill to master, and part of the secret to Sparks’ success. He’s the kind of principal that could be on the path to Central Office, but that’s not where he wants to be. For now, his dream job is on campus. But he does want to grow. Now he can. Alejandra Barraza, principal at Carroll Early Childhood Center will also lead Tynan Early Childhood Center. Barraza was a panelist at the recent San Antonio Regional PK-12 Education Forum on early childhood education. Before the event, Barraza led a tour of Carroll, which had attendees singing her praises for the inspiring work being done. The inclusion of early childhood in the initiative is notable. With all the pressure on test scores, it’s not uncommon to see districts funnel talent toward 3rd-12th grade when students actually take state assessments. To invest in early childhood shows that the district is listening to research, not just reacting to test scores. Principals play a large roll in another State sponsored initiative, the System of Great Schools. As the district focuses more on accountability and authorizing and less on the day-to-day operations of each individual campus, the principals will play a critical role. Autonomous campuses mean empowered principals. Superintendent Pedro Martinez has repeatedly highlighted his efforts to get the right principals in the right places as the shift happens.